The 164ft tri-deck Trinity yacht charter vessel yacht AMARULA SUN will set her course for the Caribbean this winter and will be in place in St. Martin in time to accept year-end inquires for Christmas and New Year’s Eve. The superyacht will remain in the islands throughout spring 2016. Her weekly charter rate is $220,000 plus running expenses. The news comes on the heels of the recent relocation announcement by Feadship yacht HURRICANE RUN to the Caribbean for year-end, 2015. The 50 meter motor yacht AMARULA SUN is truly a one of kind. 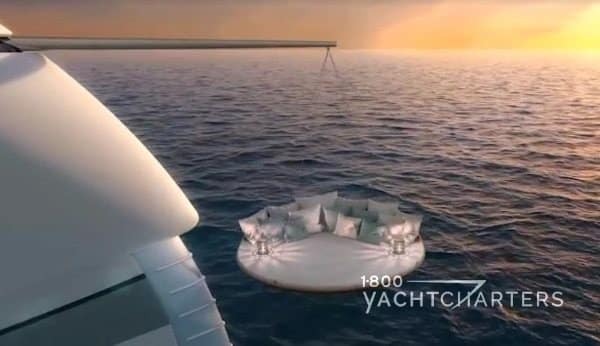 Her many unique amenities include a split-level Master Stateroom with panoramic views, fully body massage chair, grand player piano, and a cozy fireplace. There are accommodations for 10 adults in 5 staterooms, plus two Pullman berths each suitable for a small child. 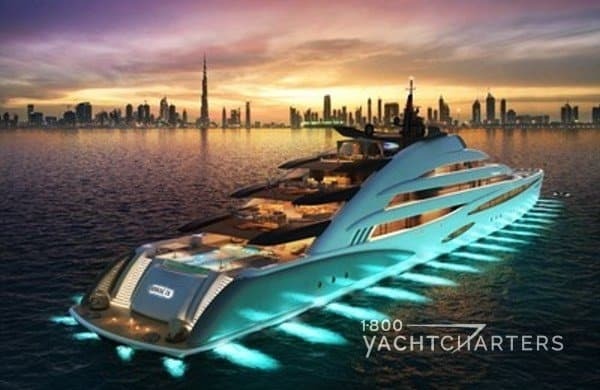 For additional information call our 24 hour yacht charter hotline at 305-720-7245, email info@1800yachtcharters.com, or use our online form to submit your yachting questions or suggestions here. We look forward to hearing from you! While we’re only a few days into Spring, one popular motoryacht has already secured their 10th early reservation for the upcoming summer season in the Med. Palmer Johnson 120 motor yacht ANNA J has confirmed their 10th booking and is looking to blow away the competition with an enticing May special. Clients looking for a May getaway can reserve motoryacht ANNA J for just € 55,000 EUROS per week – a 17% discount off the regular weekly rate! The 36 meter Palmer Johnson 120 was built in 2000 and recently completed a € 1,500,000 refit, including an all-new interior, new audio/visual entertainment systems, and the installation of zero speed stabilizers for maximum comfort at sea. This yacht is available for charters throughout the Mediterranean. She has delivery fees from Monaco. 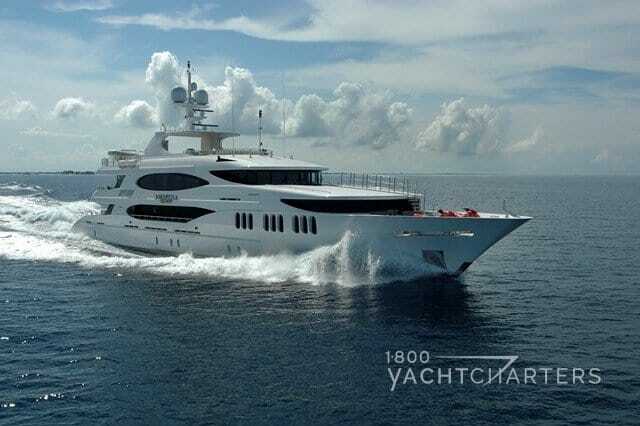 Motoryacht ANNA J accommodates 9 guests in 4 staterooms. Outdoor amenities include a Jacuzzi tub and sunbeds on the flybridge. 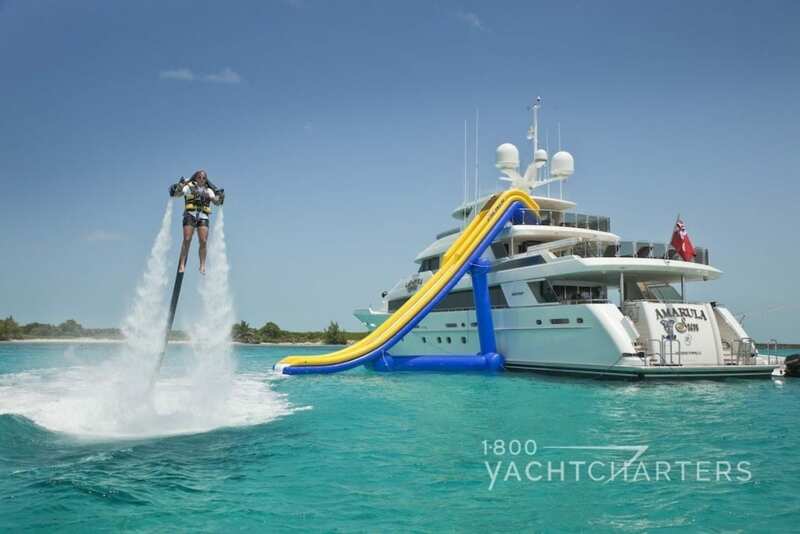 A wide assortment of watertoys are carried onboard for guests’ use, including two waverunners, two underwater scooters, a water trampoline, hamster ball, and a huge inflatable waterslide dropping down to the ocean from the flybridge. After a complete interior rebuild in 2010-2011, this Palmer Johnson 120 looks amazing. She is practically a new yacht. Every area of the interior has been attended to. The new interior color schemes are gray and silver. She also features creams with high gloss rare obecchi and moabi woods. She utilizes metallic charcoal paint. The visual look gives this luxury yacht charter vessel a modern, sophisticated feel. Take advantage of this deeply discounted price. Be the 11th party to book a week in paradise onboard motoryacht ANNA J.
OK, we’ll admit it – when Dee Kraley, manager of motor yacht SuRi, first invited us onboard the former oil rig supply boat, we were skeptical. 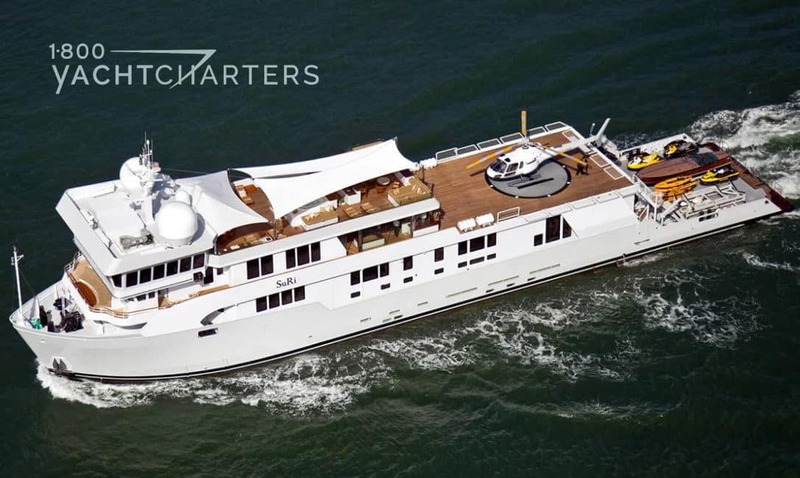 Was it really possible to take an old ship built in 1978 by Halter Marine, cut her in half to extend her overall length from the middle, and transform her into a modern expedition yacht charter vessel? After two extensive rebuilds and a 2016 refit, the answer is a resounding, “YES!” The “old supply ship” is indeed one of the most luxurious charter yachts available in her size and price category. Adding 11 meters to her overall length significantly boosted her volume, both indoors and on deck. Yet more impressive than her transformation is her owner’s commitment to creating the ultimate adventure travel vessel in the charter market. While most superyachts carry a respectable inventory of watersports gear, this yacht takes it to another level – with multiple tenders, a helicopter, seaplane, jet skis, hoverboard, scuba diving equipment, quadskis, and so much more. Twenty (20) active, athletic crewmembers add to the neverending fun, excitement, and adventure enjoyed by charter guests. 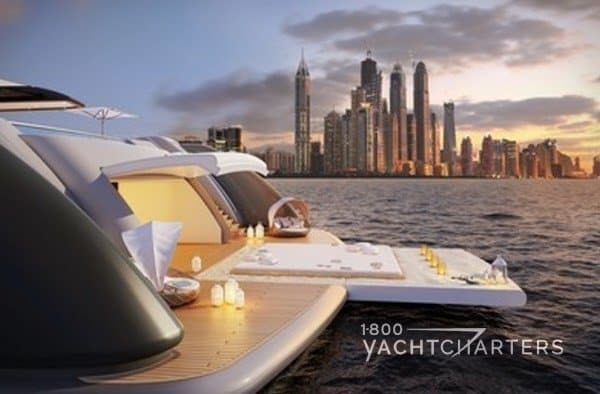 So where do you base a yacht filled-to-the-brim with toys? It must be a destination with endless opportunities for exploration and water-themed adventure. The answer? The South Pacific and the islands of Fiji, French Polynesia, and Indonesia. A favorite anchorage for yacht SuRi and her charter guests are the islands of Raja Ampat, an archipelago of 1500 islands located off the northwest tip of New Guinea. Marine life thrives here, and the bio-diversity is unlike anywhere else in the world – with hundreds of species of corals and reef fish, along with whales, dolphins, and giant rays.